Brian Pulido's Celtic vixen is born! Wexford, Ireland, 999 AD. Samhain. 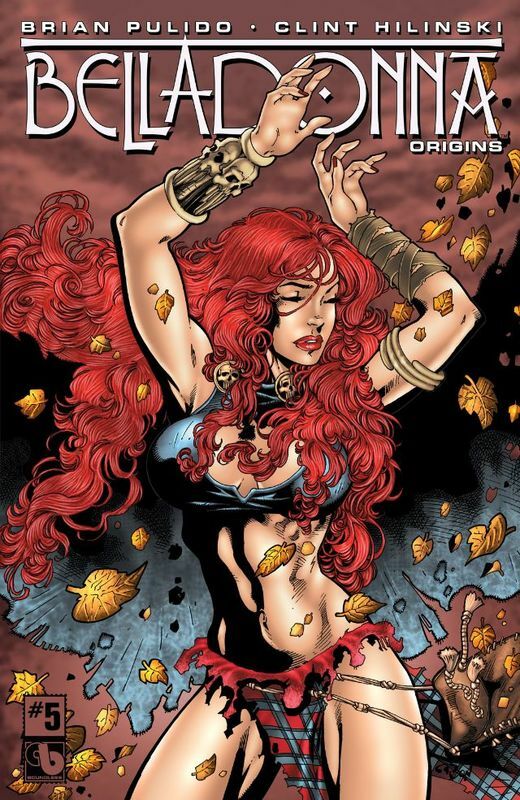 Though Colleen MacGrath (aka Belladonna) has laid dormant for years, Morrigan the Celtic goddess forces Colleen to rise and again claim vengeance for all the Celtic people! A druid has resurrected the dead Vikings who murdered Colleen's family and has set them upon the town. Now it is up to Belladonna to stop the Undead horde. Will Belladonna succeed? Or will the sheer numbers finally put her to rest forever? Originally presented in Belladonna Convention Special & Belladonna #0.